Maple Avenue can be famously slow to change, and it’s left Vienna with rampant vacancies in the middle of a region seeing a surge of new development. 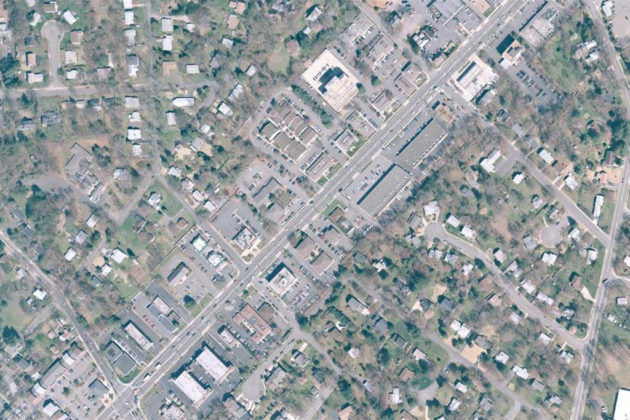 But aerial photography shows this hasn’t always been the case. Throughout the last 65 years, Maple Avenue has undergone a radical transformation. 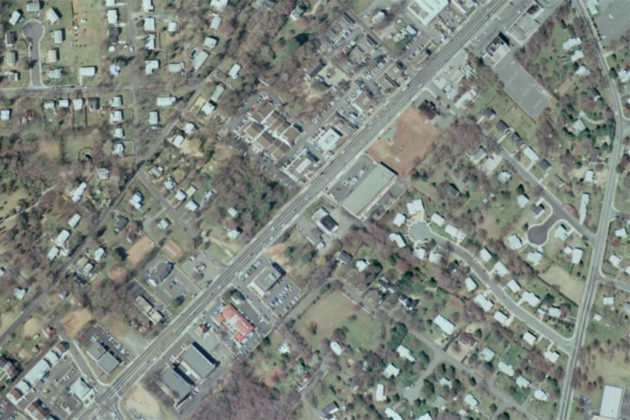 Critics of a new four-story Maple Avenue development said too much was changing in Vienna too quickly, but at least from the air, the only 20-year period where there’s been very little change along Maple Avenue was between 1997 and 2017. 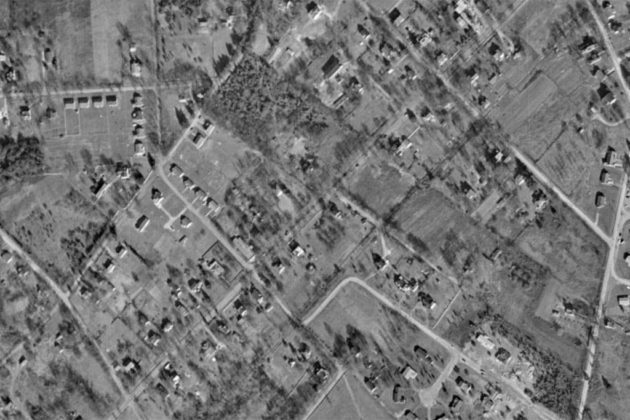 The Maple Avenue of 1953 looked quite different than the Maple Avenue of 1976. Maple Avenue transformed from a handful of small properties surrounded by farmland into islands of commercial property surrounded by residential streets. 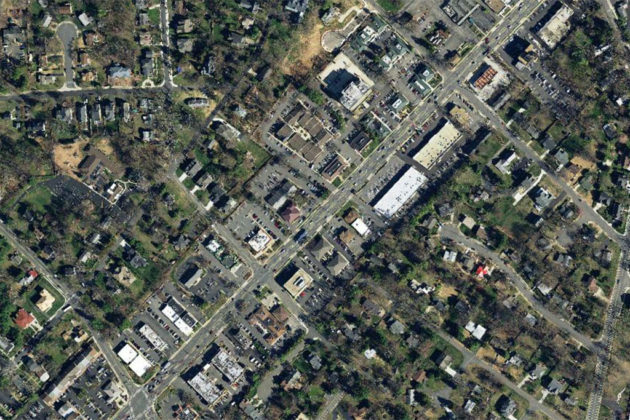 Between 1976 and 1997, the gaps between those islands of commercial property had become filled in with smaller stores. But the 1997 Maple Avenue is virtually identical to the 2017 Maple Avenue. 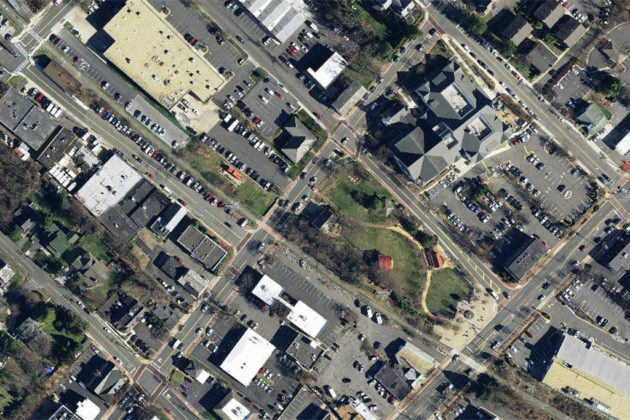 One of the most high-profile developments in downtown Vienna’s recent history was the establishment of the Town Green and redevelopment along Church Street, which runs parallel to Maple Street. 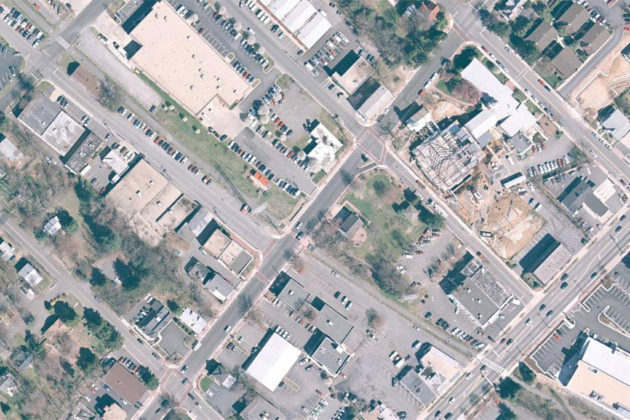 The changes made there were cited by Vienna Town Council members during hearings for the controversial development — which was ultimately approved — as examples of ways development can still fit with a small town feeling.